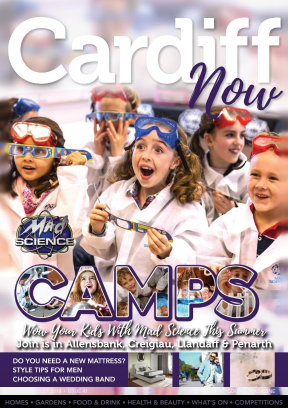 The third publication to be added to the NOW franchise, Cardiff NOW was launched in August 2014 with the same ethos as the other NOW publications - to provide a high quality publication to homes in Cardiff and the surrounding areas. Over 15,500 copies of Cardiff NOW are printed each month and hand delivered through the letterboxes of middle-class homes in Birchgrove, Cardiff Bay, Cyncoed, Cowbridge, Lisvane, Llandaff, Llandaff North, Old St Mellons, Penarth, Pontcanna, Pontprennau, Radyr, Rhwbina, Roath, Rumney, Thornhill and Whitchurch. Cardiff NOW is also delivered into hundreds of local hotels, restaurants, garden centres, coffee shops, independent retailers, council offices and libraries across Cardiff & The Vale. Cardiff NOW brings you all the region has to offer with our regular features such as Homes & Gardens, Eating Out, Food Reviews, Health & Beauty, Local Walks, and our guide to What's On in every issue. Subscribe to our mailing list to ensure you receive every issue. Do you have a story or event you'd like to share with our readers?